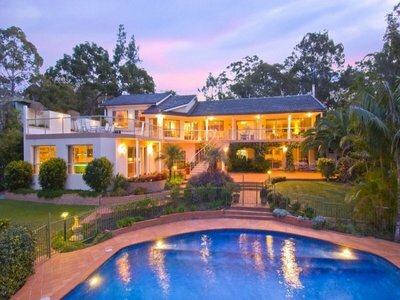 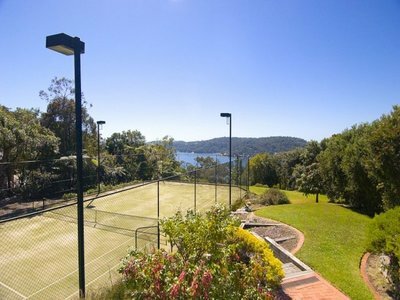 Occupying a private elevated block overlooking Pittwater and the Pacific Ocean, this luxurious family estate offers the unique opportunity to enjoy the existing substantially built home and resort facilities. 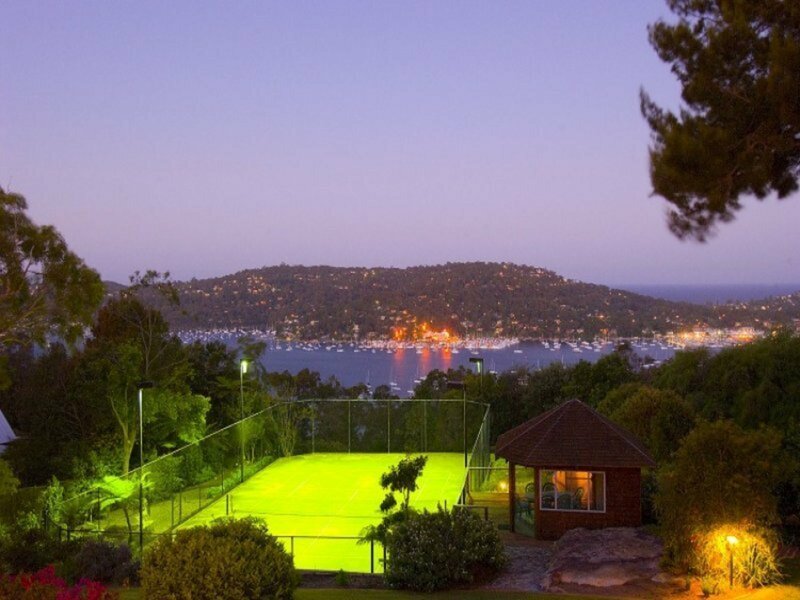 Apart from having a desired north easterly aspect, it also has a rarely- seen championship artificial grass floodlit tennis court, fully equipped cabana and sparkling solar heated in-ground swimming pool/spa amongst its rolling fully landscaped acreage surrounds. 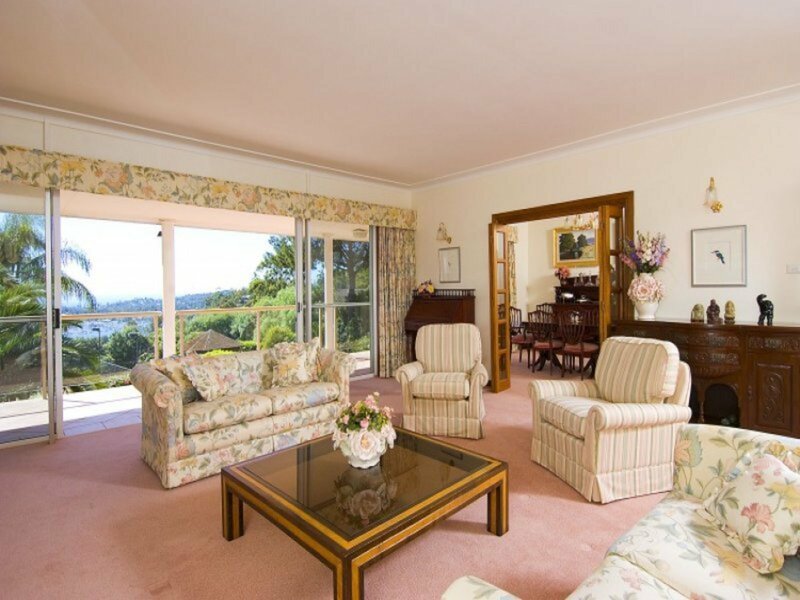 As is, the existing home is beautifully laid out for a family to enjoy life to the full in private or to entertain with a flair. 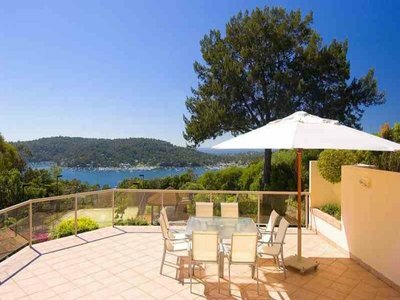 With grand proportions and a sun-soaked aspect already in place, the potential is limitless. 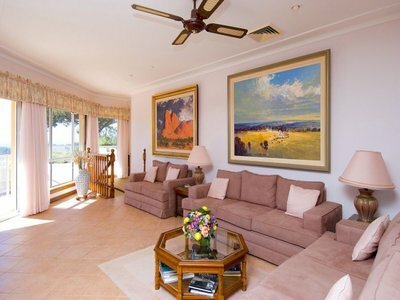 At its centre is a Miele kitchen and lounge area which flow to a wide assortment of gracious formal and informal living areas. These, in turn, adjoin an array of outdoor entertaining terraces with the view and sun-soaked aspect on full display. 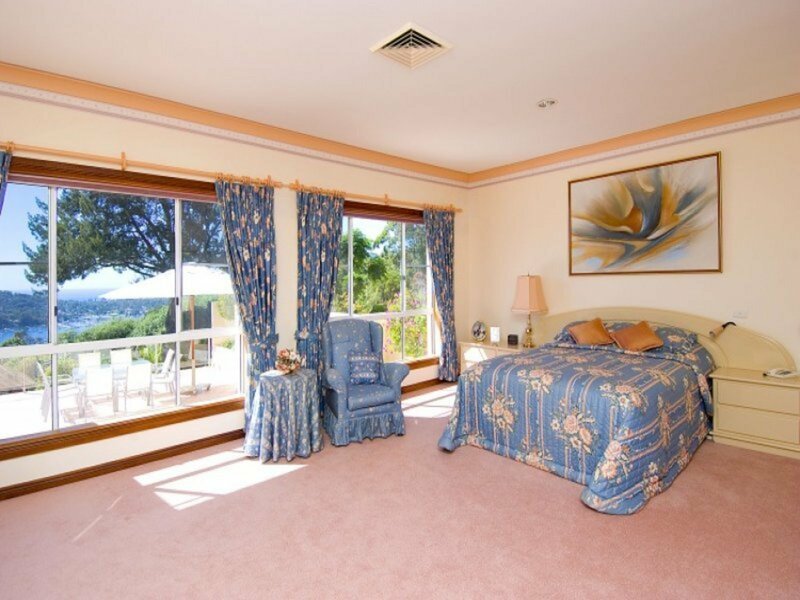 A large parent’s retreat offers a full ensuite, walk-in robe and gorgeous east-facing picture windows. 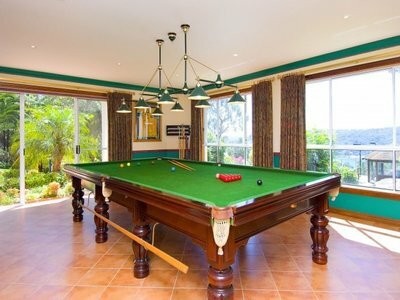 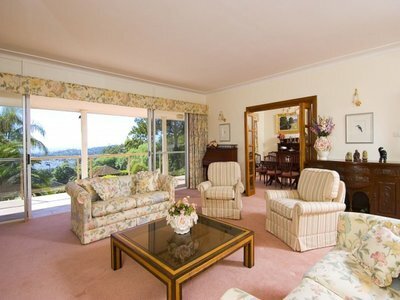 There are five bedrooms and five bathrooms in all, separate dining room, lounge room, rumpus room and billiard room etc. There are also two remote-controlled double-garages, air-conditioning and the potential for a teen/in-laws retreat or self-contained wing. 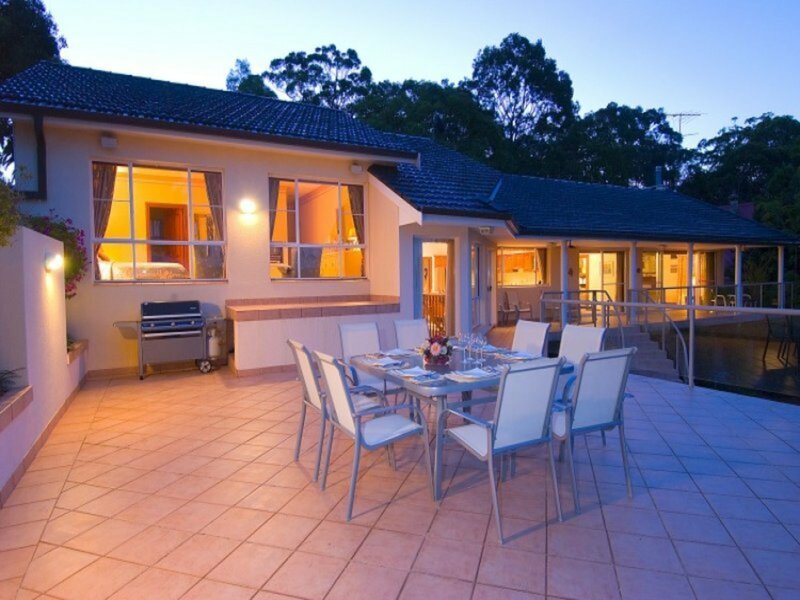 A 10,000 litre water storage tank is located behind the garden shed and there is ample car parking available on the circular driveway. 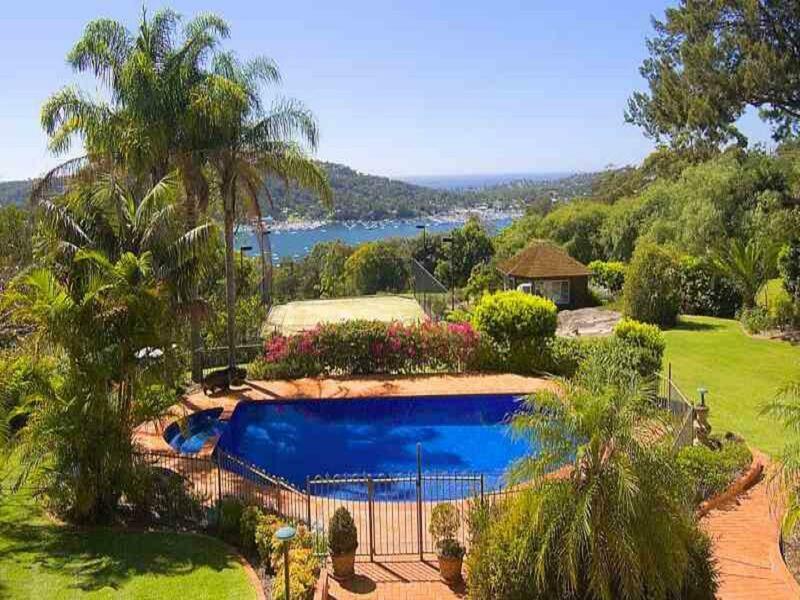 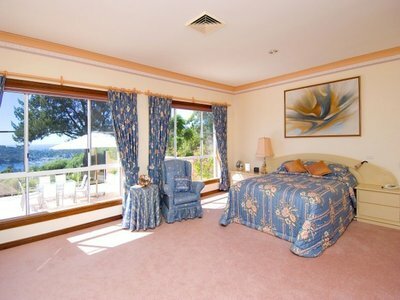 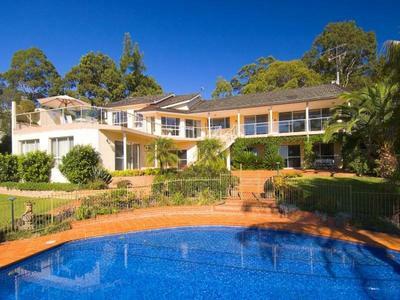 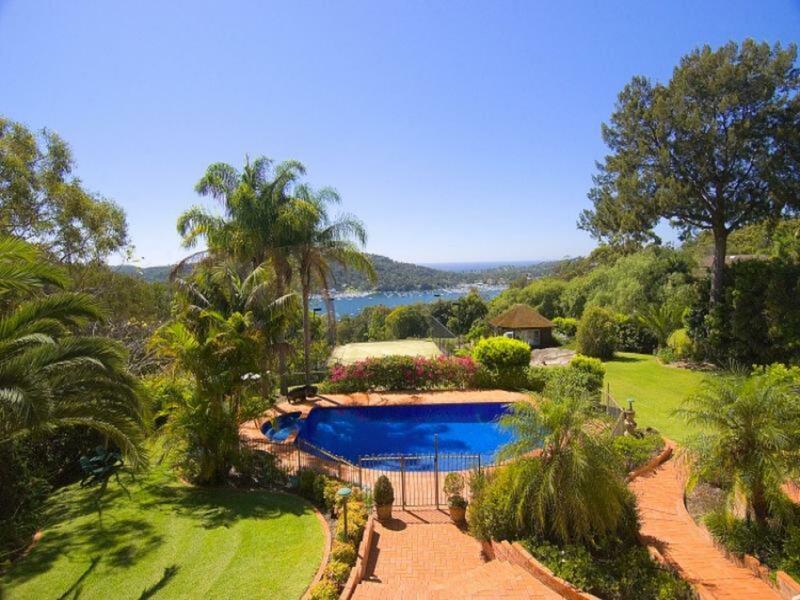 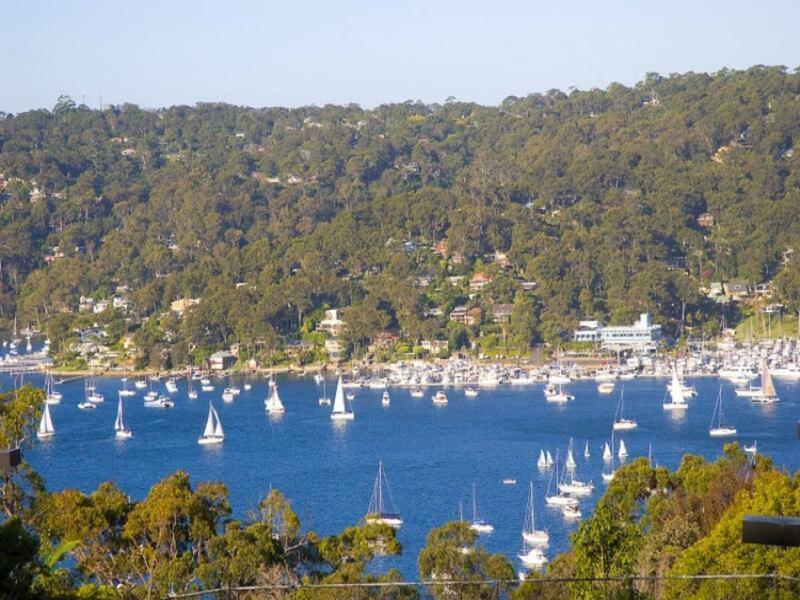 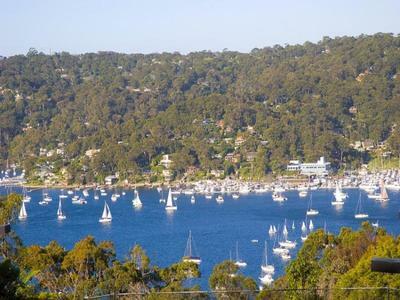 All this is within a few minutes drive to marinas, golf courses, cafes and Pittwater’s fantastic amenities.